German bass-baritone Thomas Quasthoff has decided to say farewell to the concert stage, putting an end to his outstanding career as a singer after nearly 40 years. Mr. Quasthoff will continue to devote himself intensively to the next generation of singers by teaching, as before, at the Hanns Eisler Academy of Music in Berlin, as well as at international master classes. He has dedicated himself intensely to the Lied genre for years. This devotion inspired him to launch the “Das Lied” international song competition in 2009, over which he will continue to preside as artistic director. In addition, he will be seen on stage as a speaker, at readings, and in the new talk show series, “Thomas Quasthoffs Nachtgespräche” at the Konzerthaus Berlin. Trained by Charlotte Lehmann and Ernst Huber-Contwig in Hanover, Mr. Quasthoff launched his career with various competitive successes, including 1st prize at the ARD Competition in 1988. He was one of the world’s most distinguished Lied and concert singers and could regularly be enjoyed at all major music venues, together with prominent orchestras performing under such conductors as Claudio Abbado, Daniel Barenboim, Christoph Eschenbach, James Levine, Mariss Jansons, Zubin Mehta, Riccardo Muti, Seiji Ozawa, Sir Simon Rattle, Helmuth Rilling, Christian Thielemann, and Franz Welser-Möst. Mr. Quasthoff was an artist-in-residence at the Wiener Musikverein, the Amsterdam Concertgebouw, New York’s Carnegie Hall, the Lucerne Festival, Festspielhaus Baden-Baden, the Laeiszhalle in Hamburg, London’s Wigmore Hall, and in the Barbican Centre. Mr. Quasthoff took to the operatic stage in 2003, singing the minister from Fidelio together with Sir Simon Rattle at the Salzburg Easter Festival. In 2004, a performance as Amfortas in Parsifal followed at the Vienna State Opera under the baton of Donald Runnicles, and in 2005 under Sir Simon Rattle. Mr. Quasthoff was an exclusive artist of the Deutsche Grammophon company for over ten years. Three of his CDs have been awarded a Grammy, and six of his recordings were honored with an Echo Award. He has received numerous national and international awards, including the Order of Merit of the Federal Republic of Germany in 2005, the Gold Medal of the Royal Philharmonic Society in London and the Herbert von Karajan Music Prize of the Festspielhaus Baden-Baden in 2009, and the Gold Medal of London’s Wigmore Hall in 2011. In addition, he was awarded the title of Österreichischer Kammersänger in 2009. Mr. Quasthoff held a professorship at the Hochschule für Musik in Detmold from 1996–2004, and has taught at the Hanns Eisler School of Music in Berlin ever since, where he dedicates himself passionately to the upcoming generation of singers. This devotion inspired him to launch the international song competition Das Lied, which will take place next in February 2013 in Berlin. Mr. Quasthoff will also continue to teach his many master classes. Mr. Quasthoff also has something to say – and not just musically. 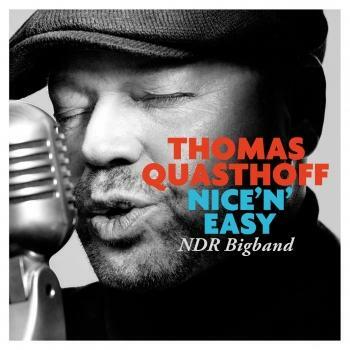 In his new talk show series “Thomas Quasthoffs Nachtgespräche”, he shows a different side of himself. Since December of 2011, the artist has been welcoming prominent guests from the cultural arena, politics, and high society to the Berlin Konzerthaus. At his next “night talk” meeting (on February 22, 2012), Mr. Quasthoff will speak with actress and director Katharina Thalbach about important phases in her life and the music that influenced her.